Rent Belmont Country Club | Corporate Events | Wedding Locations, Event Spaces and Party Venues. Belmont Country Club is a place where grace and elegance are part of everyday life, where golf course vistas and tranquility define daily existence. The experience begins at the prestigious gated entry and winds past the picturesque 10th green into the heart of the community. Belmont Country Club is a place where grace and elegance are part of everyday life, where golf course vistas and tranquility define daily existence. The experience begins at the prestigious gated entry and winds past the picturesque 10th green into the heart of the community. Belmont's Manor House, located on the highest point in the area, was once part of the vast land holdings of Lord Fairfax. 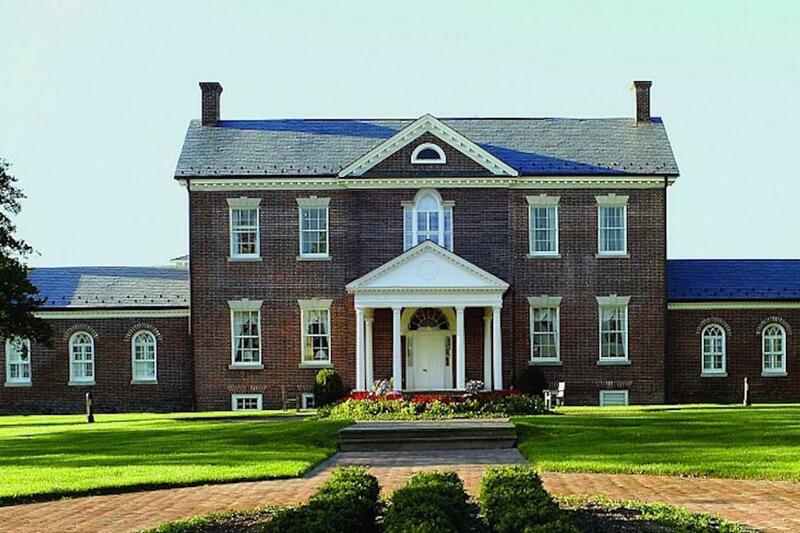 The Manor House, listed on the National Register of Historic Places, was built in the 1790s by Ludwell Lee, son of Richard Henry Lee, a signer of the Declaration of Independence. Celebrating the finest traditions and an intriguing history, Belmont Country Club is among the most desirable of Ashburn wedding locations. Members and guests can experience the unique blend of elegance, hospitality, and charm that only Belmont Country Club can offer — and now you can experience it, too! Whether you’re planning a beautiful Ashburn, Virginia wedding or a corporate event or golf outing, or simply want to indulge in the club’s many membership privileges, you’ll savor the inviting ambience of this exceptional country club community. Designed to exceed expectations, prestigious Belmont Country Club continues the rich historical tradition of more than 200 years, preserving social, business, and sporting pursuits in one of the most beautiful places in Northern Virginia. When you choose Belmont Country Club, you can be sure that the setting will be flawlessly elegant, with every detail artfully addressed and every guest’s needs immediately met. The warm ambiance, historic feel, stunning views, and beautiful landscape create an impressive picture for your private event and makes Belmont one of the most sought-after places in Northern Virginia for events. our signature Arnold Palmer course.